Providing your pet’s wellness care is an essential part of being a pet owner. We understands that pet owners strive to keep up with all the care needed, but in today’s economy, it is not always easy. That is why Paws & Co is here for pet owners. 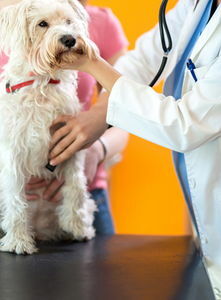 We strive to practice at the highest level of quality care at affordable prices for pet owners. 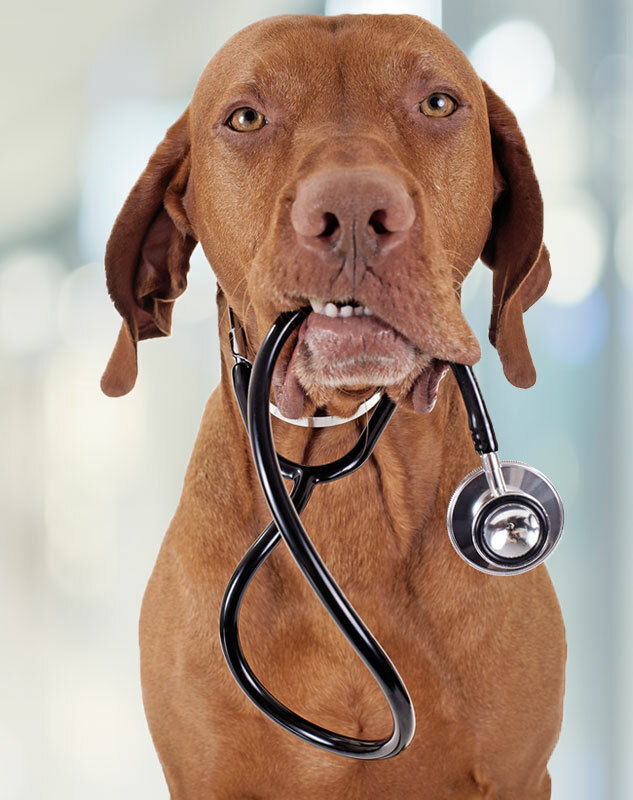 If you live in Green Bay or the surrounding area and need a trusted veterinarian to care for your pets – look no further. Paws & Co Clinics is a partial-service veterinary hospital in Green Bay, WI staffed by a caring, experienced team that puts you and your pet’s needs first. Our skilled, compassionate veterinarian and staff are dedicated to ensuring your pet’s overall wellness, and by doing so, strengthening the special bond you both share. At Paws & Co Clinics, we treat your pets like the valued family members they are. Dr. Mau received his doctor of veterinary medicine from UW-Madison School of Veterinary Medicine in 1999. Since graduating, he has resided in Green Bay and was an emergency vet and partner in the Green Bay Animal Emergency Center (GBAEC). In 2008, he left the GBAEC and opened his own emergency Hospital in Mobile, AL. He had been traveling back and forth working ER shifts at the Alabama hospital. As of 2012, he was traveling less and less to Alabama as he transitioned into strictly administration of the hospital. With this change, Dr. Mau needed something to fill his time here at home in Green Bay. This is how he and his wife, Lisa, formed Paws & Co. After 2 years of doing the walk-in clinics and house calls, they decided Paws had reached a point where it was time to expand, thus the opening of our own clinic space on the east side of Green Bay. Lisa has been a great supporter of Dr. Chris and his career by keeping the family unit running smoothly all these years of Dr. Chris’ crazy ER hours and travels with the Alabama hospital. Now, with the new venture, Paws & Co, she is jumping head first into the world of veterinary medicine. Lisa brings her administration and organizational skills to the table in this partnership with her husband helping make Paws & Co a success now as an actual brick and mortar clinic. With her love of people and pets, she is the prefect for managing Paws & Co.
Cindy has been a veterinary assistant since 2002 and has worked in multiple facets of veterinary medicine. She has experience in general practice, emergency medicine, and shelter medicine. Cindy joined Paws & Co in the beginning volunteering at some of our walk-in clinics, then jumped at the chance to join us full time when we opened our Green Bay clinic. She has since taken a job in the human medical field but still helps us out part-time. Cindy enjoys spending time with her son Dakota and their two dogs Felix and Bailey. She enjoys the outdoors and especially enjoys her time helping her parents on their farm in Denmark. Surgeries/Dentals Tues-Thur am's. | Appt's: M: 4p-7p, Tues-Thur: 2p-5:30p, F: 8a-12p. "Awesome Doc & outstanding staff. Prices for services & knowledge of small animals is well rounded. I'm a farm boy & good Vets are tough to find. Thanks." "Absolutely wonderful staff and doctor! Really care about our fur babies. They listen to my concerns and help with them. I know my dog is getting great care. I am in return happy and at ease about my dogs health." "I bring three dogs to Paws & Company for their wellness check up. I am very pleased with the care my fur babies receive." "The staff is exceptional and I'm confident my four legged family member is in great hands here. I have had nothing but positive interactions on the phone and in the office. So glad our neighbors recommended Paws & Co!" "I was worried my new dog may have Lymes disease and was looking for a vet to see him as soon as possible. Pets & Co got him in right away! Staff and doctor were awesome and took great care of my dog! Prices are extremely reasonable! Super happy to find a great place to take my pets! Thanks!!" "I have had a wonderful experience with Paw's & Co. I would tell everyone to go there. The people are friendly & very good with my pets. You are the best." "I have been extremely happy with the care Dr. Mau and the entire staff has given my dog, Pippy. They are knowledgeable, thorough, helpful and kind. They also take time to listen and answer questions. We are very happy with our experiences at Paws & Co!!!" "Always happy with the treatment and the non judgemental attitude of Dr Mau and his staff. The rates that they charge are very manageable in comparison to the vet I used to have. I have recommended Paws and Co to several friends who are very happy. Deidre Schaut"
"Absolutely love Dr Mau & Mrs Mau. And all the staff at Paws & Co. You are treated like family. Never have to wait long. Sad that I didn't know about Paws & Co sooner. I have brought both dogs in and now one of my two cats. Never a hesitation to go there! The best!" "Dr. Mau was fantastic with my dog when I brought him in for the first time! He took the time to get to know myself and my dog before preceding with the exam. The support staff was fantastic in answering any clarification questions and concerns I had. My dog has always s had anxiety going to the vet, but not at Paws & Co Clinic!"